And Now Goes All Day Without An Oxygen Mask! Wendy Rieder came down with pneumonia 7 times in 5 years. This damaged her left lung and left her gasping for breath. Her blood oxygen level measured 74 and her doctor prescribed supplemental oxygen round the clock. Wendy’s sister heard about Cellfood at Sunshine and told her about it. In about a month Wendy could feel it was working and after 2 months her blood oxygen level was up to 94 and she no longer needed her oxygen machine. Her doctor was amazed! Wendy uses 8 drops of Cellfood in a glass of pure water 3 times a day and says since she began using Cellfood her immune system is vastly improved and she no longer catches every bug that goes around. 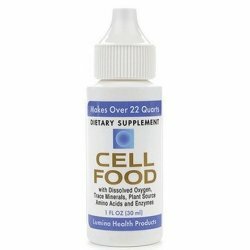 Cellfood is a unique liquid blend of enzymes, minerals and amino acids that was invented in the mid 1950’s by a man Einstein called a genius for his Cellfoood formula. 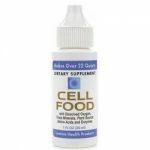 Cellfood is safe, provides energy and oxygen and even helps relieve aches and pains. For More Information Or A Free Sample Stop In To Sunshine Today!